Product prices and availability are accurate as of 2019-04-18 11:13:11 UTC and are subject to change. Any price and availability information displayed on http://www.amazon.com/ at the time of purchase will apply to the purchase of this product. Library includes 15,722 royalty-free results recording critical moments in sonic history and sound results from all over the world. The vastness and diversity is impressive, with sound results such as Chinese fireworks, Pakistani walla, Westminster Abbeys, Czech babble, WWII aerobatic canine fights, Big Ben bells at 12, Triumph motorcycles revving, newborn child woman foley, streetfighting in Vietnam, Ford Model T false stars, oil drilling atmospheres and far beyond. 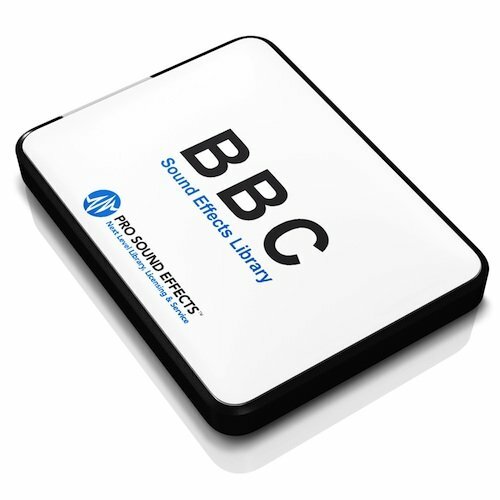 This library includes the original BBC Sound Effects Library 1-60, the formerly unreleased BBC 61-166 as well as the entire unreleased EC series of sound results. Sound Categories include Archery, Clocks, Footsteps, Horses, Motorcycles and much more. From Big Ben on, recreate sonic history with the BBC Historical Archives! This rich library is delivered on hard disk with ingrained metadata for identify sound results searches. Library was tape-recorded by the BBC's leading sound engineers from across all corners of the world. All sound results are descriptively called and intuitively classified so you can quickly browse. Metadata is suitable with Pro Tools, AVID, Final Cut Pro, NetMix, Soundminer, BaseHead and more. You can also utilize NetMix Lite, the complimentary sound results search software application that comes with the BBC Historical & 1 - 166 Sound Effects Library. NetMix Lite is an active, light-weight software application utility suitable with both MAC and PC.